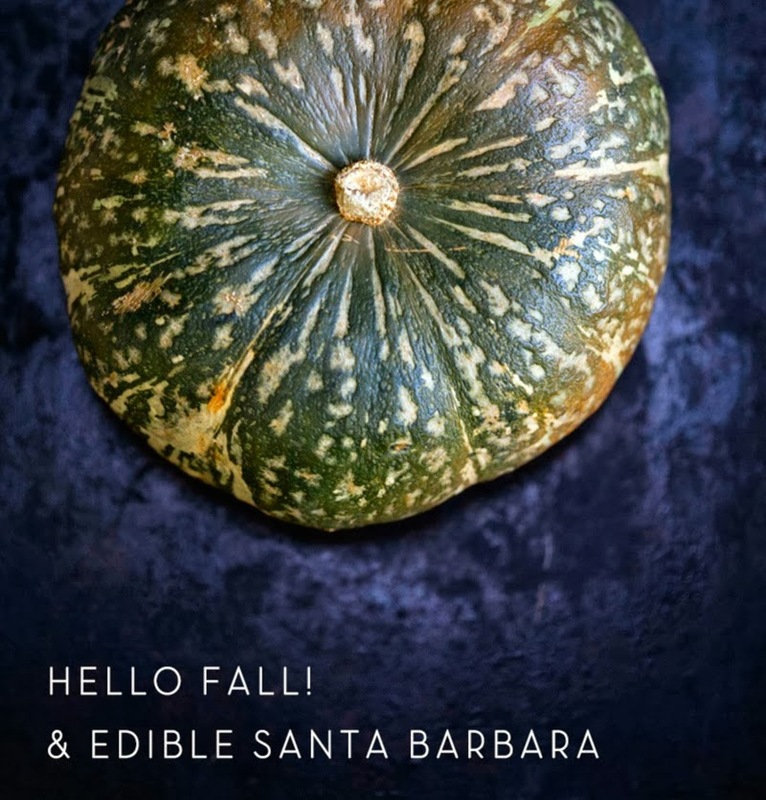 Last month I had the pleasure of working with Edible Santa Barbara on a few shoots for their Fall issue. 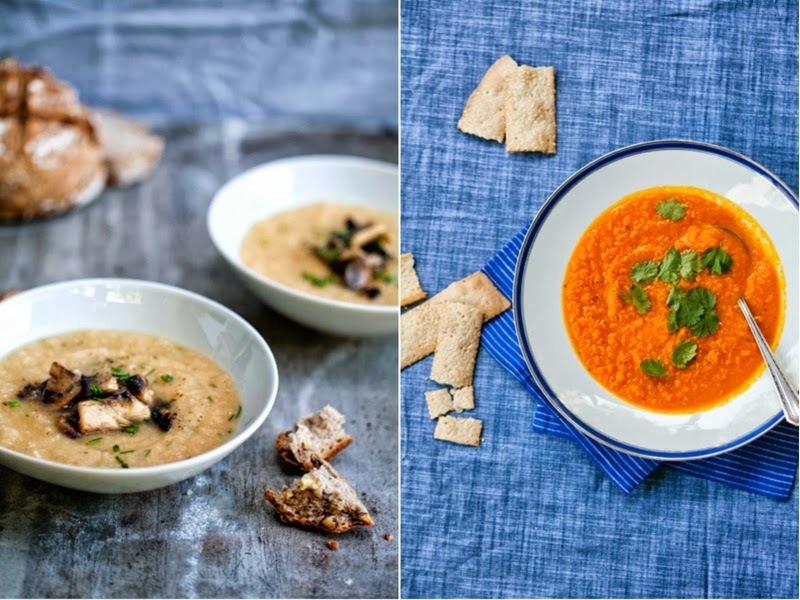 Seen here are a series of soups, recipes developed by Pascale Beale. 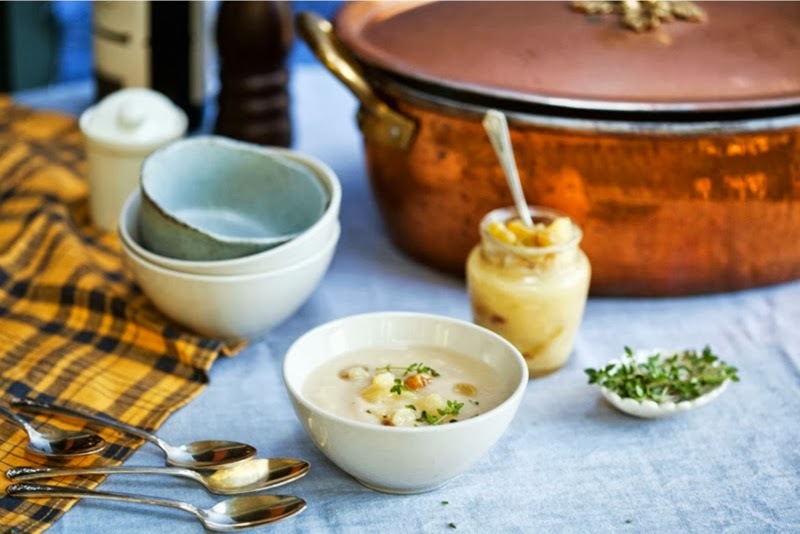 These soups all tasted so good, very simple and nurturing -- the perfect thing for a cozy day. Pictured here are a carrot, pureed parsnip with shitakes and creamy cauliflower with apple-raisin compote and thyme. AND This morning, we awoke to mist and a slight nip, I got to wear my high-waisted wool trousers for the first time! 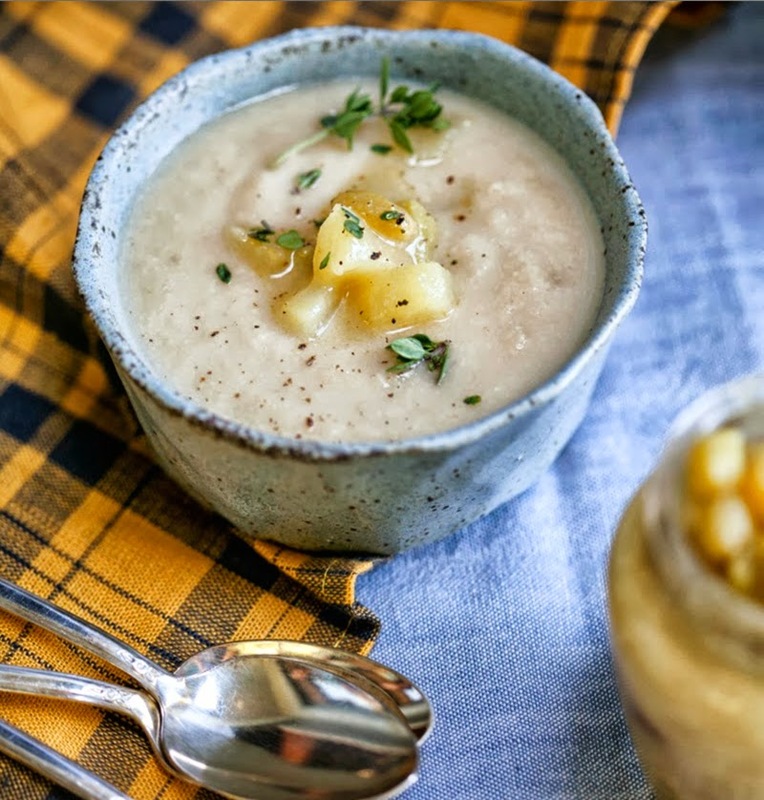 So it seems fitting to share these comforting meals . . . Happy Fall! 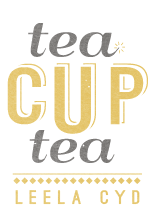 My favorite season. Lovely pictures and great soups.